The beige CR-8S Cardioid Earworn Microphone from Point Source Audio is designed for high noise applications where more than one microphone is required such as for live performances and recordings. The cardioid pattern of the microphone will pick up sound from one direction, so it can be focused on the sounds of the person wearing the microphone. The unit features a 4mm diameter microphone element that can be positioned at the corner of the mouth to maintain an unobtrusive appearance. The microphone features an unbreakable boom that can bend up to 360° and a flexible earhook that can be worn on either the left or the right ear. 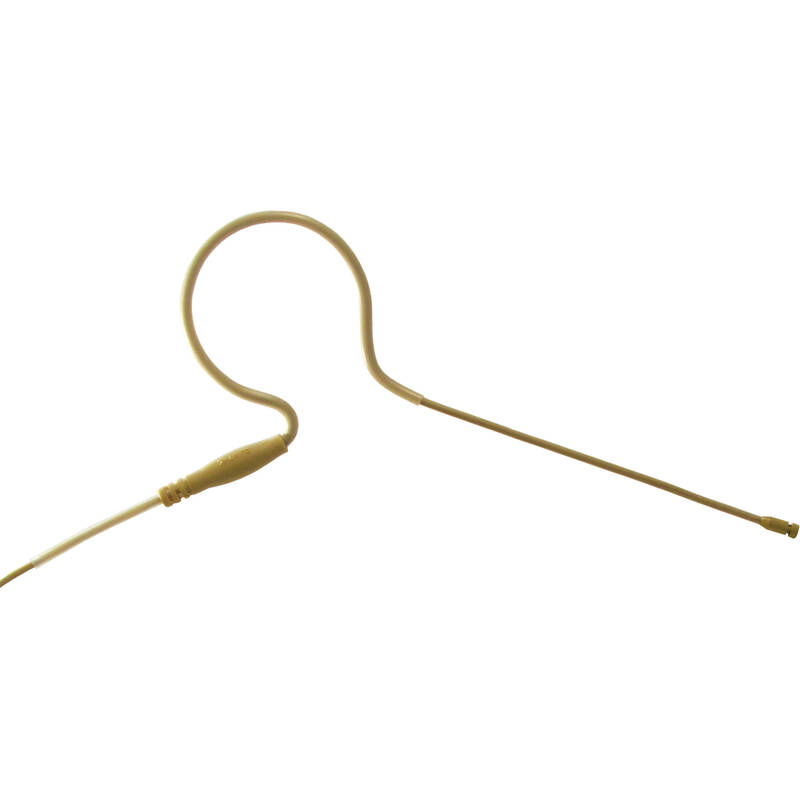 Alternatively you can utilize a dual-earset microphone clip to convert the earworn microphone so it can be worn on both ears for more support. The unit offers optimal gain amplification before feedback and can handle sounds with a maximum SPL of 135 dB. The microphone can connect to a wide range of wireless microphone transmitters using its interchangeable X-Connector system. This particular unit comes with an interchangeable 3.5mm locking connector for Sennheiser EW Series transmitters. The microphone also comes with a foam windscreen, a body clip, and a storage box. Box Dimensions (LxWxH) 6.8 x 5.6 x 1.1"